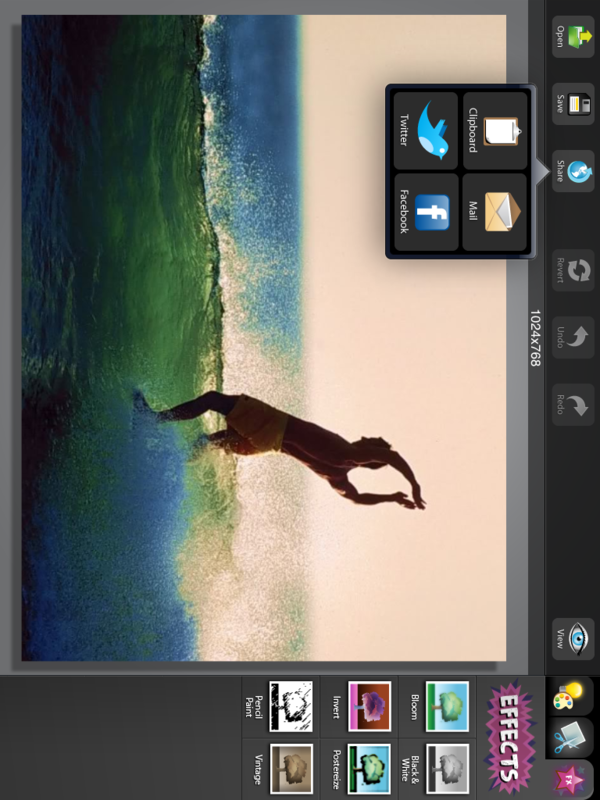 Editing images on the iPad may have been difficult at one point in the distant past, but PhotoPal has changed that. 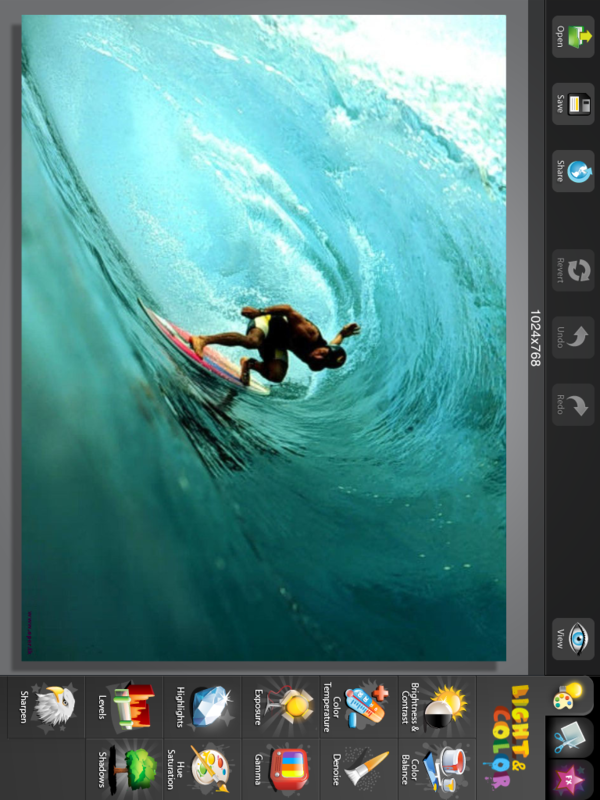 With large buttons and a clear easy to use interface, MacPhun has democratized basic photo editing for anyone with an iPad. Everything about this app is specifically designed to create a sense of accessibility. 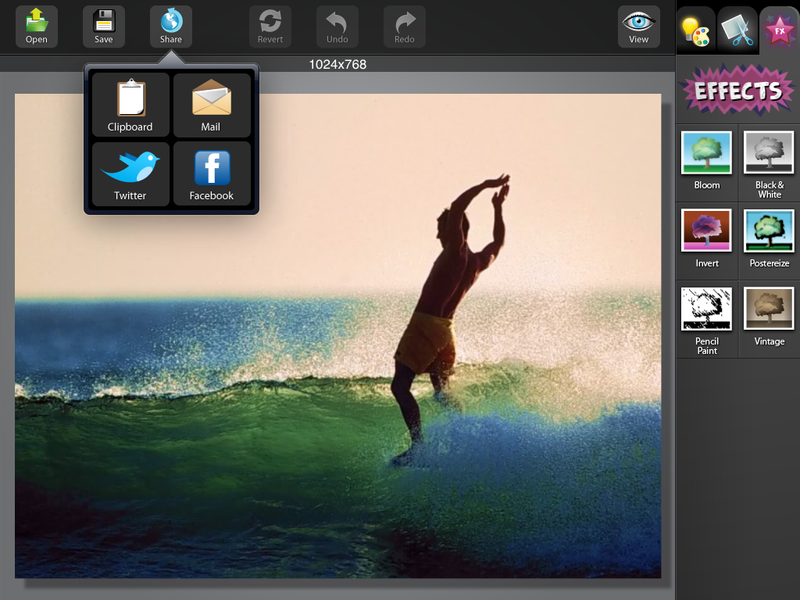 The menu screen when the app is first opened allows you to select any photo from your library, your most recent project, and anything copied to your clipboard. 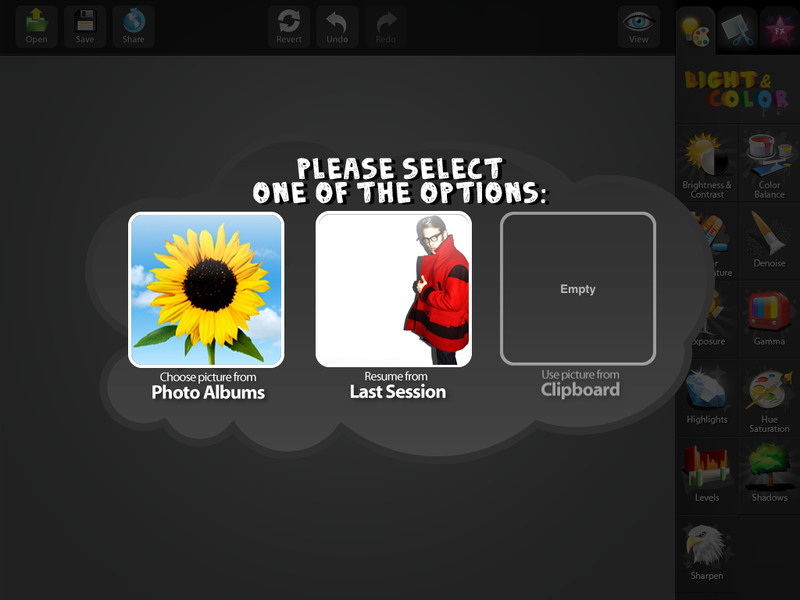 From there you’re introduced into the editing panel with your picture on the left and a huge toolbar on the right. The buttons on the editing panel literally show (as well as tell) exactly what each effect does, and when you open any of the editing components everything is controlled by a horizontal slider. 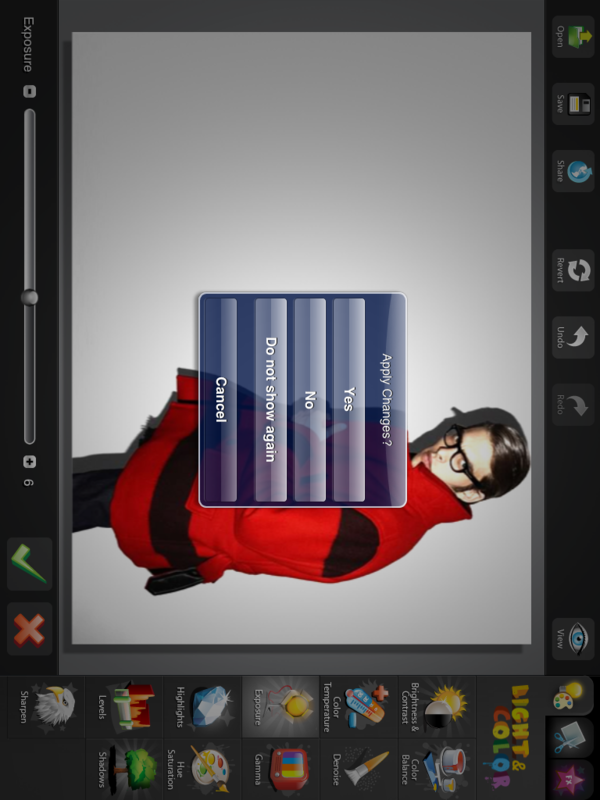 Changes on any of the aforementioned effects can be applied by pressing the green check mark, and canceling the effect is the result of pressing the red x. 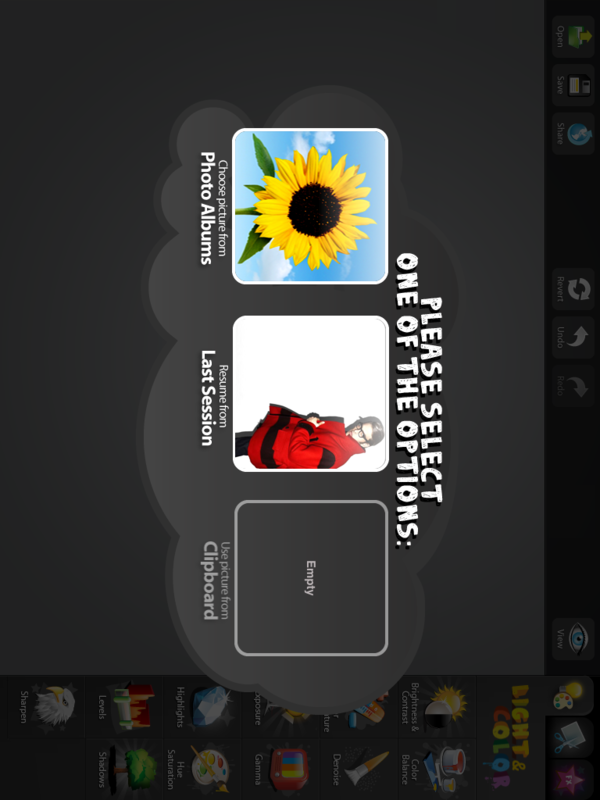 If you try to leave the screen without applying the changes a menu screen pops up asking you what you want to do. Then, if you mess up multiple undo and redo saves the day. 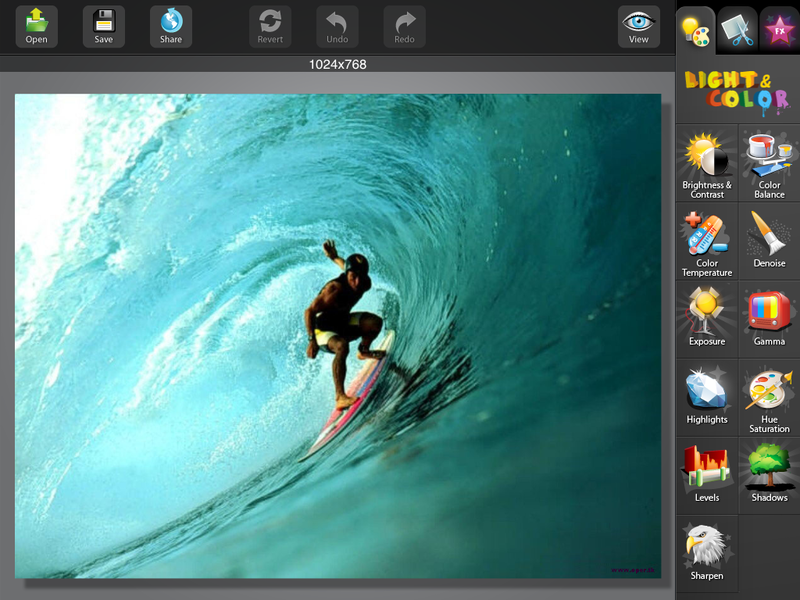 When you’re masterpiece is complete you can save the photo to your photo gallery or share it from the top toolbar via email, Facebook and Twitter. The only complaints I have about this app are the fact that although the effects seem plentiful, this isn’t really a great option for people who need to do down and dirty editing. Also, since photos are saved in your main photo library, it’s hard to access them easily unless it’s the most recent photo you’ve edited or you don’t have that much in your photo library. Either way, this is a minuscule complaint for an app that runs smoothly and works great.